If one or both of the parents have Danish nationality, their children automatically become Danish citizens. If a child of a Danish father and a foreign mother does not acquire Danish nationality at birth, the child will automatically acquire Danish nationality if the natural parents marry after the child's birth. This applies even if the parents are later legally separated or divorced. It is also a condition that the child is under 18 years of age and has not married. If you want to become a Danish citizen by naturalization, you will have to go through a complicated application process and fulfil a number of conditions. In order to apply for Danish nationality, you must have lived in Denmark for a certain number of years and have a permanent residence permit. If you do not have a permanent residence permit, you should apply for one at the Danish Immigration Service. anyone who has undergone a significant part of their general education or vocational training in Denmark. Factors such as imprisonment will prevent you from being listed in a naturalisation bill. The same applies if you have overdue debt to public authorities. You must also prove that you are able to support yourself, meaning you do not, and must not have, received any public benefits within the past year. You must also have been self-supportive for 4 years and 6 months out of the last 5 years before your application. State education grants and loans, anticipatory pensions or old-age pensions will not prevent you from obtaining Danish nationality. Upon submission of your application, you will need to pay an application fee of DKK 1,000. You must prove your Danish skills by providing an examination certificate, as well as passing a citizenship test. The citizenship test will prove you have sufficient knowledge of Danish society, culture and history and you will be presented with a certificate if you pass. You will also need to sign a declaration in which you pledge your allegiance and loyalty to Denmark and the Danish society, declare your willingness to observe Danish legislation and respect fundamental Danish principles of law. You will also have to disclose your criminal record in the form of a solemn declaration, whether committed in Denmark or abroad. In terms of your present nationality, you must be prepared to give this up in order to be listed in a naturalisation bill. Whether you lose your current nationality automatically upon becoming a Danish national, or whether you need to apply to be released, depends on the nationality legislation in your home country. In general, the Danish authorities prefer to avoid dual nationality as much as possible. However there are some cases in which dual nationality is accepted, such as through marriage, or if someone is born with a dual nationality. 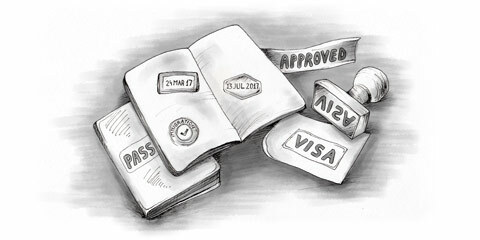 How long will application for Danish nationality take? The Minister for Integration in Denmark introduces a naturalisation bill in April and October every year. As a general rule, the entire process between application and completion is roughly three to four months.